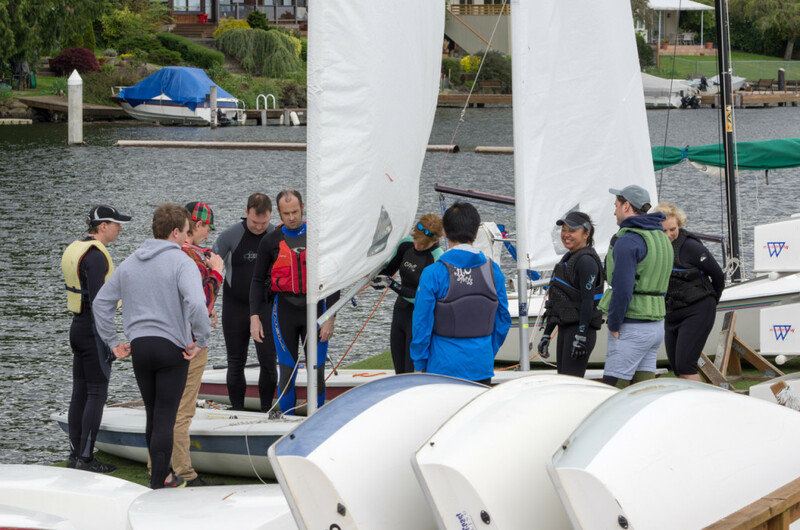 Refresher lessons are a FREE way for those with previous dinghy sailing experience to review rigging, launching and specific boat knowledge with a SSP instructor. This is a good opportunity to assess one’s readiness prior to taking the Skills Proficiency Test that is required to rent a boat at SSP. Refresher Lessons are held during Open Boating hours on weekends, beginning on Memorial Day Weekend and ending Labor Day Weekend. Classes are determined on a first come first serve basis, no advance registration is available for refreshers. We do ask that sailors please arrive at least 10 mins early and check with our Dockmaster at the Dockmaster desk. Since refresher lessons are taught at an accelerated pace, late arrivals will miss a significant amount of material and are generally not able to join the lesson. *Depending on group size and the wind conditions, lessons may be shorter or longer.